Taking its lead from the One Belt One Road initiative, Asia Lifestyle Expo 2019 will arrive in Bangkok next year. This new platform will promote a free flow of trade, encourage market integration and forge new ties within the ASEAN region. Organized by COMASIA Limited and co-organized by N.C.C. Exhibition Organizer Co., Ltd., the trade expo, held from 21st - 23rd August 2019 at BITEC Bangkok, will provide retailers, trading companies, e-commerce, and online sellers an opportunity to import lifestyle products to ASEAN and to export ASEAN-made products regionally and globally. Five-hundred booths will showcase products ranging from gifts, consumer electronics, toys, accessories, kitchenware, arts, crafts and homeware. In line with the One Belt One Road initiative, Asia Lifestyle Expo 2019 will shine a spotlight on ASEAN products and provide a platform to support ASEAN businesses within the competitive global market. “Asia Lifestyle Expo 2019 will take place in Thailand thanks to the country’s unrivalled trade show credentials. This new expo will showcase a huge range of lifestyle products and will offer a huge potential to the region’s firms for breaking into the competitive global market of imports and exports,” said Mr. Sakchai Pattarapreechakul, President, N.C.C. Exhibition Organizer Co., Ltd.
Asia Lifestyle Expo 2019 is the sister show of Hong Kong’s October Show, a hugely popular series of the largest and most important sourcing trade events in Asia. 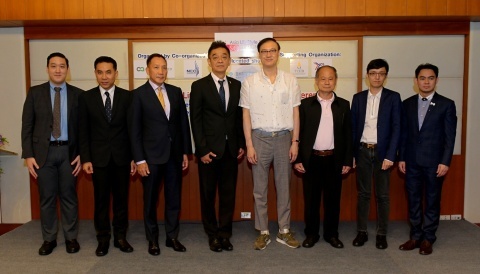 “Like Hong Kong October Show managed by COMASIA Limited, the emphasis of Asia Lifestyle Expo 2019 is firmly focused on ASEAN trading, providing an opportunity for ASEAN firms to ride on the One Belt One Road initiative by making new ties and trade partners within the region and beyond,” said Mr. Peter Cheung, Director, COMASIA Limited. Asian Electronic Game and Amusement Equipment Expo will be held simultaneously in Hall 99 of BITEC.